Is the potential of geothermal energy starting to turn into growth? The Geothermal Energy Association’s newest report on global growth is an admirable effort on putting on a happy face -- but its numbers tell another story. 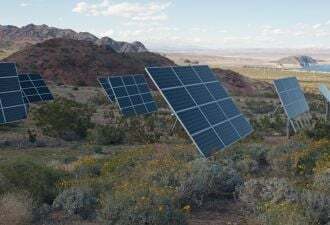 The association reports, for instance, that in 2010 geothermal energy generated “twice the amount of electricity as solar energy did worldwide.” The world’s installed grid-connected PV capacity went from 7.4 gigawatts at the end of 2009, to 16.8 gigawatts at the end of 2010, to 29.7 gigawatts of grid-connected PV at the end of 2011. 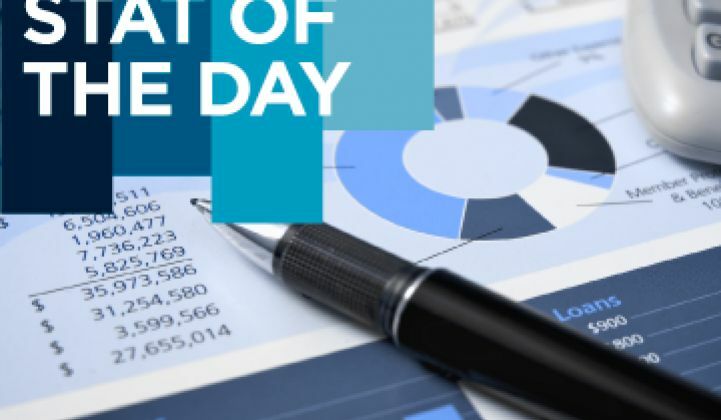 That’s far less than the 1,855 megawatts of photovoltaics deployed in the U.S. in 2011. The U.S. wind industry added 6,816 megawatts (6.8 gigawatts) of new capacity in 2011, a 30 percent increase over the previous year’s growth. There is, however, cause for optimism in the geothermal industry. 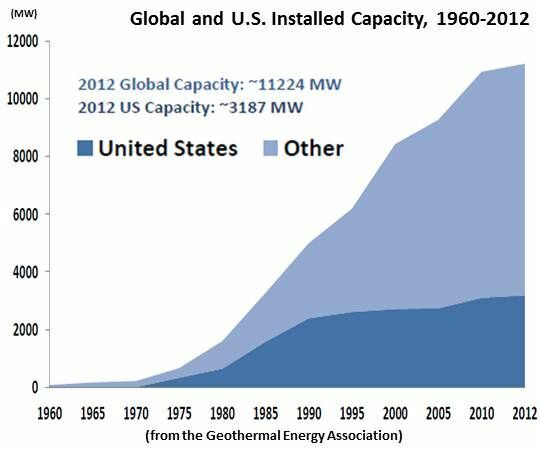 While GEA President Karl Gawell noted that “growth in the United States is still hindered by uncertainty about the direction of government policy” (an observation echoed by leaders in the solar, wind and natural gas sectors in 2012), the rest of the world plans to seize the geothermal opportunity. The Turkey Geothermal Association estimates, according to GEA, that its industry will grow from 100 megawatts of installed capacity to 500 megawatts by 2015. Kenya, with 202 megawatts of installed capacity, is developing fourteen new sites. And Indonesia, which is situated on the famed ring of fire and is estimated to have 27,510 megawatts of geothermal potential, intends to build its installed capacity to 5,000 megawatts by 2025. A recent GTM interview with EnergySource President and CEO Dave Watson, who just commissioned the 49-megawatt Hudson Ranch I project in California’s potential-rich Salton Sea known geothermal resource area (KGRA) and is already readying a matching 49-megawatt Hudson Ranch II project, offered insight into the GEA’s positive attitude. “At some point,” Watson said of grid operators now buying up solar and wind contracts, “they’re going to want some grid stability [and] we’re running twenty-four hours a day. When the utilities get tired of dealing with intermittency and want baseload renewables, there’s really only one source -- and that’s geothermal."